This is a die-cut flange Chase & Sanborn Brand porcelain sign. This particular Chase & Sanborn Brand sign is red with white text. 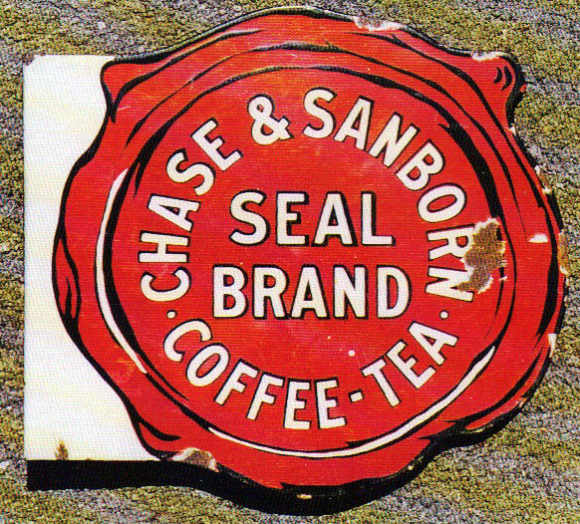 It reads, “Chase & Sanborn Seal Brand, Coffee, Tea” and is in the shape of a wax seal.